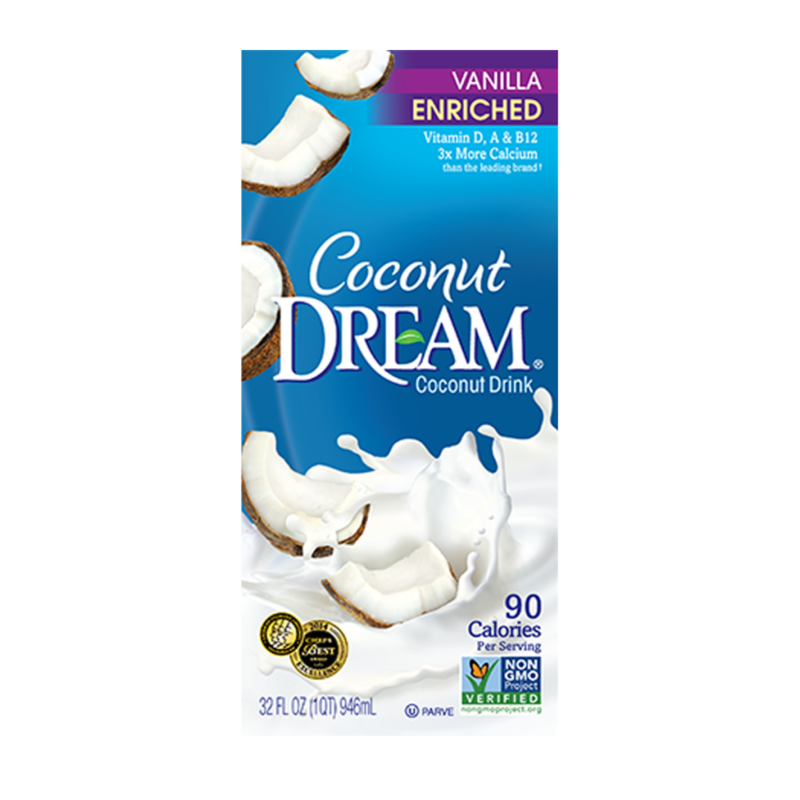 Lightly sweetened with the perfect touch of natural vanilla flavor, Coconut DREAM™ Vanilla Coconut Drink adds a tropical flair to the day. 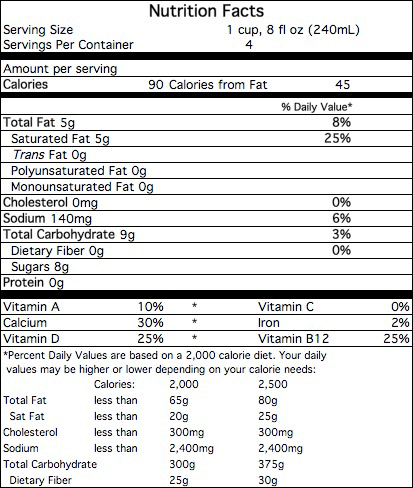 It has 3g medium chain fatty acids (MCFAs) per serving – more readily metabolized than long chain fatty acids, MCFAs ultimately support good metabolism. Enjoy Coconut DREAM™ Vanilla on fruit or cereal, in coffee or make an energizing smoothie. FILTERED WATER, COCONUT CREAM, EVAPORATED CANE SYRUP, NATURAL VANILLA FLAVOR WITH OTHER NATURAL FLAVORS, TRICALCIUM PHOSPHATE, CARRAGEENAN, GELLAN GUM, SEA SALT, VITAMIN A PALMITATE, VITAMIN D2, VITAMIN B12 (CYANOCOBALAMINE).